RKA recently provided professional engineering design, construction management and inspection services for the rehabilitation of Temple Avenue in the City of Walnut. The project was the recipient of various funding sources, including STP-L, Proposition C, and a Cal-Recycle Grant for the use of rubberized pavement. 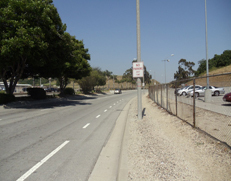 Not only is Temple Avenue a major arterial serving the adjoining communities of Pomona and West Covina, but the construction occurred along the perimeter of the largest community college in the State of California, Mt. San Antonio College (Mt. SAC). The project involved the rehabilitation of roughly 300,000 square feet of existing failed pavement through a process called Full Depth Reclamation (FDR). This FDR process pulverizes the existing pavement surface to utilize as a base material and reduces waste. The process also reduced the overall construction cost by nearly 30%. RKA also prepared traffic control plans to ensure as smooth of a work condition as possible and worked closely with Mt. SAC for nearly one year to identify the best possible time to perform the rehabilitation project. RKA was responsible for the advertisement, award and project closeout according to the requirements of the STP-L funding sources.